May is National Teen Self-Esteem Month, a month dedicated to boosting confidence and self-image. Annie Fox, M.Ed., an award winning author and educator with 30+ years experience, sheds some light on how we, as parents and teachers, can help raise confident and secure teens. Her books include: Be Confident in Who You Are, Real Friends vs. the Other Kind, What’s Up with My Family?, Too Stressed to Think? and The Teen Survival Guide To Dating & Relating. 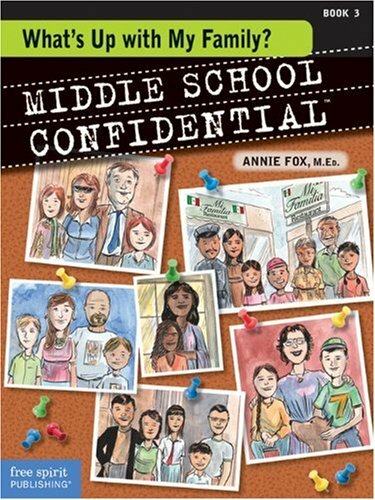 Middle School Confidential: What’s Up with My Family?